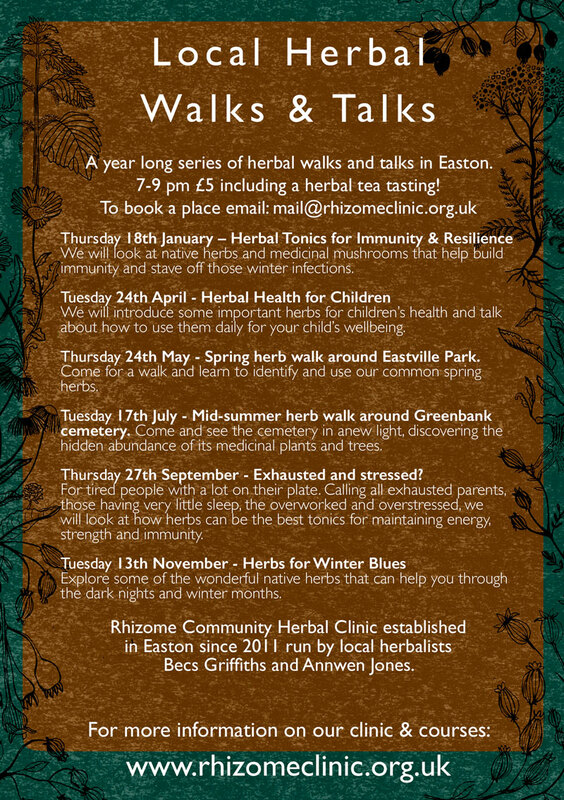 We are available to run guided herb walks and give talks on a wide variety of topics related to health and herbal medicine. We also run workshops making simple remedies for community groups. Do get in touch if you want us to come and talk to your community group or organisation. In 2017 we ran medicine-making sessions for trafficked women as part of the ‘Unseen’ project in Bristol, and also for the Wellspring Healthy Living Centre support group for Polish Women. We also talked at The West of England Herb Group and the UK Medicinal Mushrooms conference.